Ruby Assembly Consultants were very happy to be seated next to the creative and gorgeously buzzy Wendy Dumresq of Natural Woman Network at the Secret Girls Business function (we blogged about it earlier in the year). 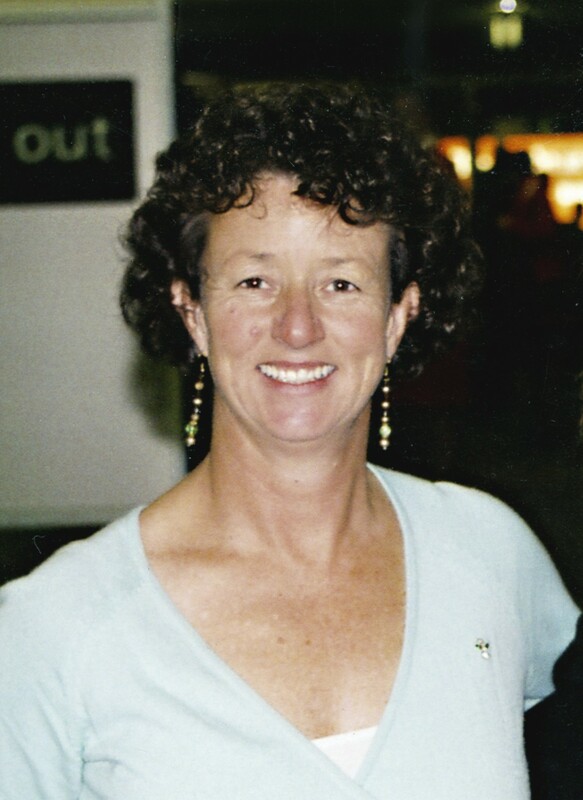 Wendy is a ‘nature entrepreneur’, and is the spearhead of such unique brands as the well-known Rad Pads. She has a refreshing and inclusive approach to business for women – all with an eco bent. As a benefit to all Ruby Assembly fans, just mention ‘Ruby Assembly’ when ordering any RadPads product and receive a free organic SupaSoap, full of naturally moisturising yumminess. Bonus! Service, quality, service, service with a smile, quality, service beyond expectations. Did I say ‘service’? We do not stop at great service for our products and goods but the service includes our philosophy regarding service to the community, social justice and the environment. We do this through our aid program which is ever increasing and through working with individuals (including our Natural Woman Network facilitators) who are like minded. Our feedback from our customers is that our products are of such high quality that they last for many years, so are very economical. To achieve this high quality we have specially adapted equipment and our team LOVE their day job! It is such fun! Hmmm, many think me a bit ‘mad’ – I would have to agree! I think that we seek to make our customers our NBF (new best friends) regardless of their attitudes may be considered by some as ‘mad’, but it is very important to us to spread the love! We have had occasions – although not many – when we have had some very grumpy customers and have managed by not reacting in the same way but offering great service and assistance to turn them into ourNBF’s. It’s really rewarding for all!! It is an enduring memory although I don’t know HOW I remember this from such a young age, but I remember being at the ‘zoo’ (Melbourne I guess) with my parents, and I was sitting up in a pram. My parents wanted me to go to sleep but I was over stimulated and I kept on ‘popping up’ like a jack in the box. I asked my mother if that was a true memory or one I made up to suit myself, but she said that it was all true and that even then, I could be very STUBBORN (I prefer the word ‘resiliant’) and dare I say it a wee bit hyperactive. Not much different now. Can’t keep a good woman down. Hmmm again, I eat as if every meal were my last! Well, I would start with and advocado and prawn salad, with a lovely organic light white wine, then I would enjoy a lovely fresh salad with all the colorsof the rainbow in it, topped with free range, marinated, grilled duck fillets. For desert I would enjoy a lovely home made ‘crème caramel’, a REALLY super doper one!. Then I would relax with the great company and sip on my own brand of organic herbal tea blend (relaxing tea). Obey your instincts – I find whenever I don’t go with my intuition I get into a lot of trouble with people and events. All of the team I work with over time have been chosen for their integrity, honesty, humorand humility. Anyone without those attributes does not last long here. To choose business partners – same applies. I joint venture with people who want to make the world a better place, want to share the experience as well as the prosperity. Are as happy to promote my work as their own. To this end we have affiliate programs to reflect this on the planner. The birdsong in the morning. Now that spring is in the air the birds are doing crazy calls at dawn where I live. It is magical to wake to this and I am fortunate to live in an area where we still have native plants around us. Those that weren’t burned by the fires at the start of the year at least. If figure if the birds can be happy for a new day I can’t fail to join them in their celebrations. Anita Roddick (Body Shop) although now deceased I would enjoy her re-emergence at my dinner table. I really admire the way she had her vision, worked at it, thumbed her nose at the detractors and went on to be wildly successful and at the same time had a strong social justice bent. The current Dali lama – for his consistent and enduring ability to leave a blanket of peace and harmony where ever he goes. It would be very helpful to be in his relaxing and humoress company and would greatly assist a relaxed digestive experience. My Mother, who passed away several years ago – she had the most amazing general knowledge and would give all the other guests a run for their money, and also because I miss her. My Family – they always put in their two bobs worth in any conversation and I love them! Bob Brown – Wow, he has achieved so much for the future of our children as far as the environment goes. It would also be helpful if he was there to ‘convert’ my less ‘green’ inclined family!!!!! You didn’t say how many seats were at the table, could go on forever. I am grateful to so many people who have been mentors and guides in my business journey. My Dad (RIP) was a true entrepreneur – he passed this germ on to me and now I can’t get rid of it. He always was interested in new ideas and encouraged us all to have a go. Some more recent mentors and inspiring people who I find greatly motivating and sharing of their concepts are Dale Beaumont (Secrets of Success book series) and more recently Jen Armato, Paul Clarke and the team at Web Business Academy. It is truly inspiring to work with people who are so keen to share their knowledge for the betterment of all. My children inspire me to go on when I am low, even though they don’t realise it! It is for a better deal in this world for them that this is all about.